There is no lack of options for New Year's Eve around Delavan Lake, WI. From game night to horse shows, there are plenty of activities to choose from. 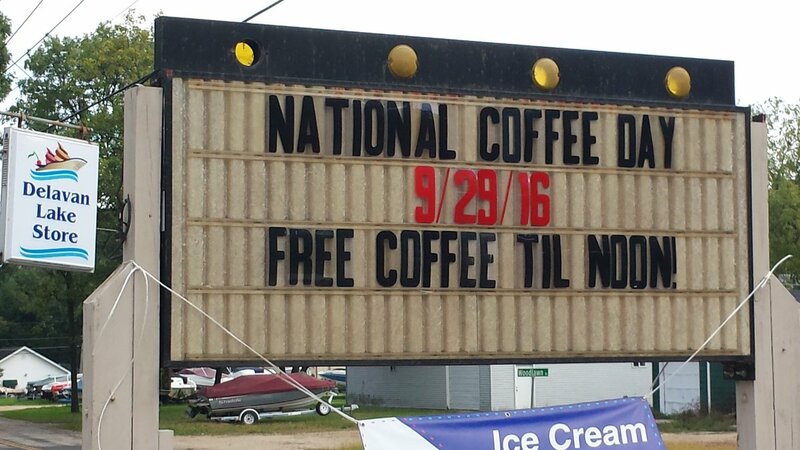 The Delavan Lake Store is offering a game night starting at 7:00 p.m. Located at 2001 North Shore Drive, Delavan Lake, the event will take place in the newly remodeled Lake Lounge and is free of charge and open to all ages. 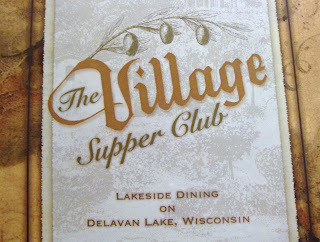 www.DelavanLakeStore.com. The Dancing Horses Theatre will be presenting "Magic of Christmas" a 90 minute show featuring a fast pace musical celebration with trick riding and special appearances by a Unicorn and Santa Clause. The Theatre is located at 5065 Hwy 50 Delavan with the show starting at 7 p.m. www.TheDancingHorses.com. 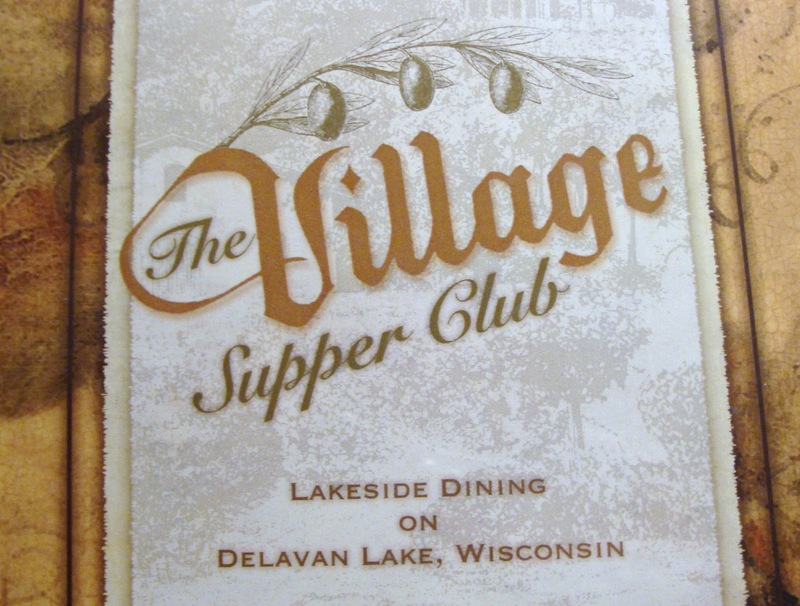 Special dinner options are available at The Village Supper Club, located at 1725 South Shore Drive, Delavan Lake. The evening choices include Prime Rib and Crab Legs, Seafood Platter, Steak Oscar and Lobster Ravioli. Dinner is served starting at 4 p.m.
Lake Lawn Resort, 2400 E. Geneva Street, Delavan Lake, will offer a variety of New Year's options including live music by Brian Fictum. Additional activities will be held throughout the resort and can be found at www.LakeLawnResort.com. 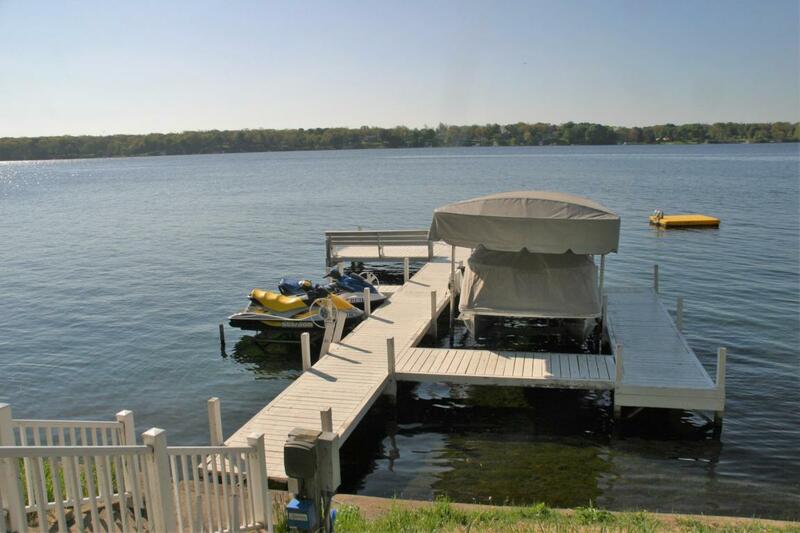 A couple of late sales boosted the overall activity on Delavan Lake this year. While lakefront sales have been slow for most of the year, two November transactions pushed the total dollar sales to over $8.5 million. The first sale was the mulit-structure property at 2666 Willow Point Drive. 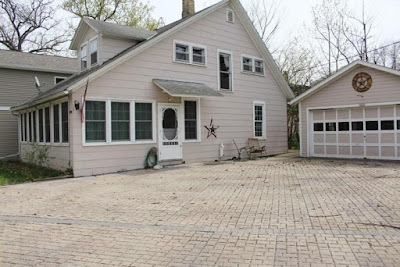 Situated on Delavan's North Shore, this waterfront complex included a four bedroom main home, a five bedroom guest home and a two bedroom cottage. Sacrificed at a bargain price of $950,000 the buyers purchased some instant equity and their plans for additional updates will only drive the value up further. The second sale was located at 3307 South Shore Drive. This major lakefront estate was constructed for the late Edward A. Brennan in 2002 as a summer retreat for the Chairman and Chief Executive officer of Sears Roebuck and Co.
3307 South Shore Drive on 200 feet of Delavan Lake South Shore frontage. 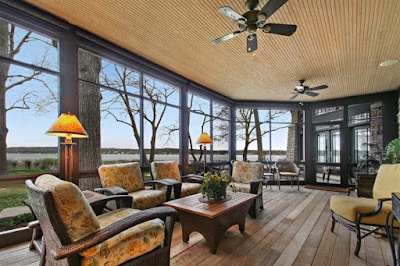 With over 10,000 square feet of finished living area, this Prairie-style home is perched on 3.7 acres of prime South Shore frontage and had sweeping views of the entire lake. Inside is a spacious great room with cathedral ceilings, wet bar and custom wood work, five fire places, a 500 square foot screen porch and four guest suites with lake views. 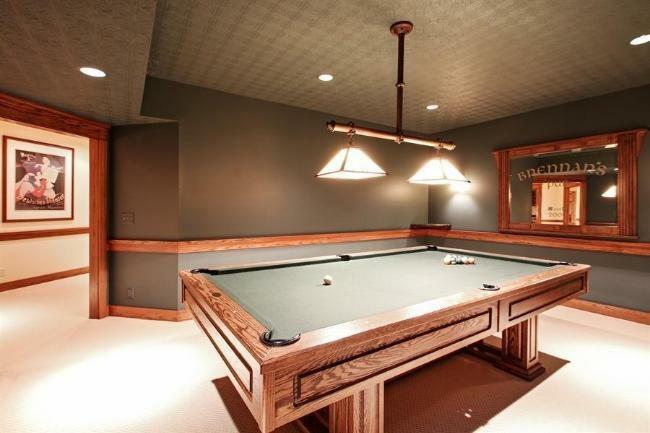 The lower level included a billiard room, theatre room, second wet bar, and a salon with seating for five. In addition to the three car attached garage, the property included two additoinal garage structures for boat and automotive storage and a lakefront boat house. The property was originally listed for $3.4 million and sold for $2.8 million with many of the furnishings included in the sale price. 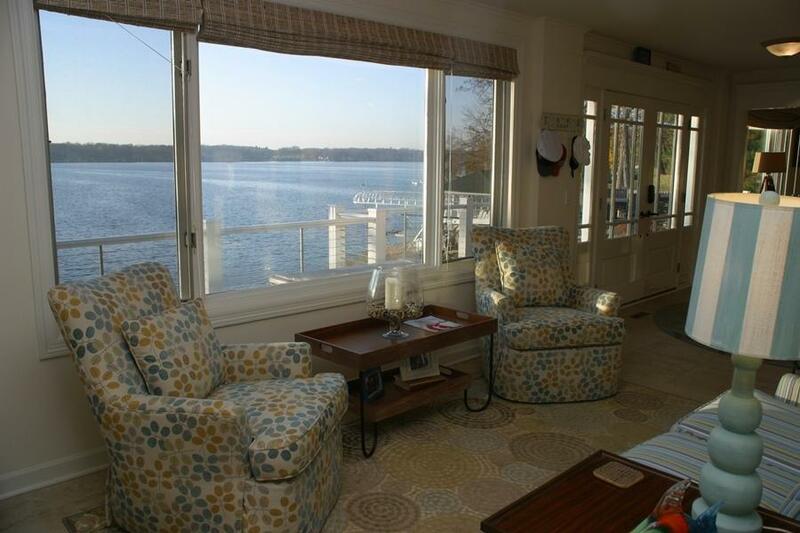 The end of the year is bringing out some great values for lake properties on Delavan Lake, WI. Single family homes with lake access, condos with boat slips and even some lakefront properties have been reduced in price. 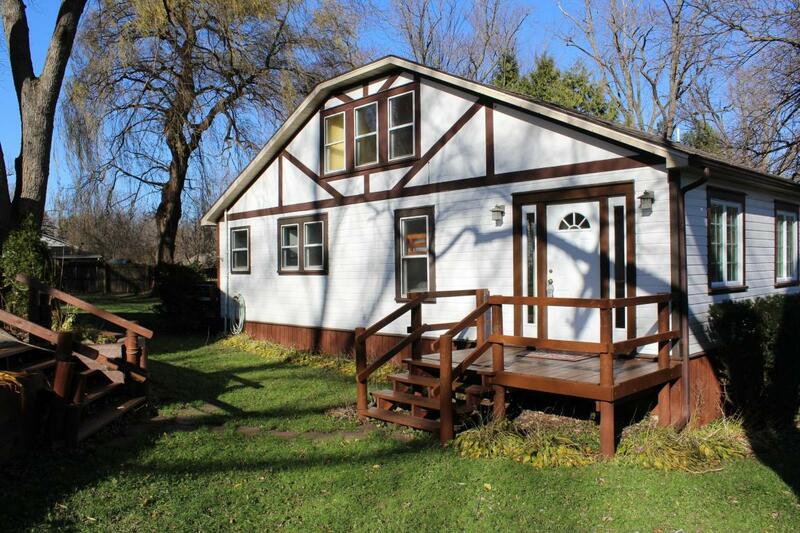 Starting with the entry point for Delavan Lake, is a remodeled two bedroom cottage in Assembly Park. Originally listed for $200,000, this cozy lake place has been reduced to $159,900 and offers a front screen porch, fireplace and updated kitchen and mechanicals. 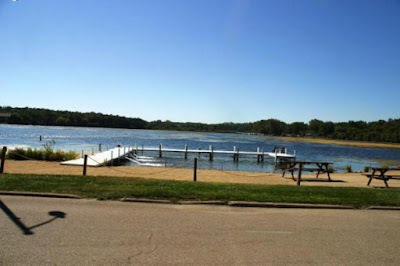 Assembly Park has always been a desired location on Delavan Lake with its offering of private piers, boat launch, and one of the best beaches on the lake. For those considering a carefree condo, or perhaps even year round relocation, it would be worth considering another recently remodeled property. This one is located in the Geneva Landings complex on the outlet of Delavan Lake. 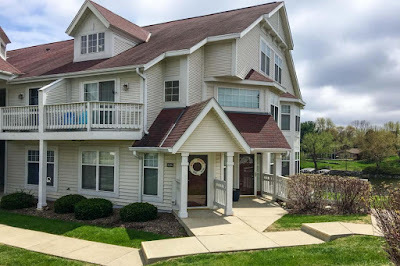 A first floor unit with a walk out lower level, this unit came on the market for $239,900 and has been slashed to $184,900. If features a first floor master suite with walk-in closet and private bath, an open concept great room and kitchen area with cathedral ceiling, gas fireplace and a deck that overlooks a park-like setting. If you are looking for a larger space that comes with a boat slip, one to consider is the residence at 2613 Glen Eyrie Lane. This four bedroom spacious home enjoys one of the best lake associations on Delavan Lake. At the end of the private lane is a shared pier with boat slips for all members and a spacious park area for kids and family to run around and play. 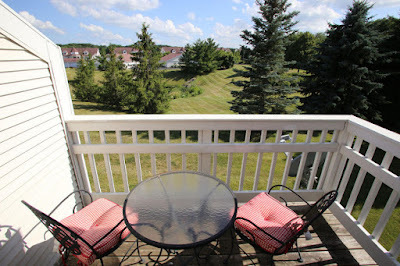 Listed for $349,900, the property can be either a full time residence or summer vacation property. 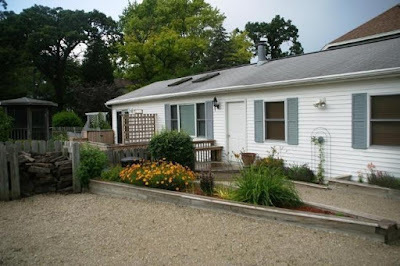 There is an expansive three season room with hot tub, full basement with recreation room and an attached two car garage. 2613 Glen Eyrie comes with a deep water boat slip. For the lakefront seeker, value can be seen in the offering at 2906 Borg Road. Located on 63 feet of level Delavan lakefront, this home features two great rooms, each with a stone fireplace. 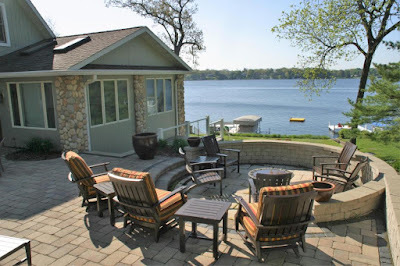 The front great room walks out to an expansive deck from which the home owner and guests can absorb spectacular views of the east end of Delavan Lake. Available for $865,000 this four bedroom, three bath waterfront has been enjoyed for many summers and now is calling to the next generation. A slow selling season has created a unique opportunity to receive some instant equity on Delavan Lake. The sprawling lakefront at 2666 Willow Point Drive offers a future owner the opportunity to cash in on a discounted price for an updated home. 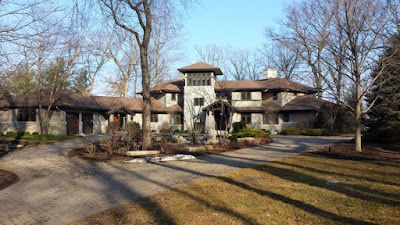 The desire to purchase a larger residence, has prompted the owner of the Willow Point property, located along the North Shore of Delavan Lake, to reduce the list price of their 1.36 acre complex to $200,000 less than is was purchased for and this does not account for the $250,000 in improvements that have been made over the last eight years. I often see lake property seekers looking for the best deal, being able to take advantage of a situation and make out like a bandit. Here is that opportunity. 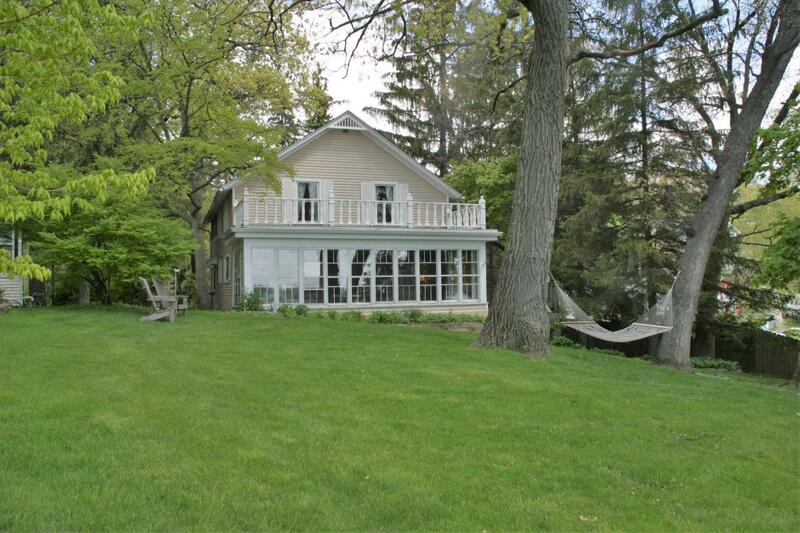 A sprawling lakefront enclosed porch spans the entire front of the main home. Listed for $1.249,000, this unique home site includes a four bedroom main home resting on 83 feet of prime mid-lake frontage and an additional five bedroom guest home set back towards the 275 feet of roadside frontage. Across the private drive is an orchard, natural meadows, and hardwoods that will protect the privacy of the residence for years to come. Along the lakeside are million dollar lakefronts which insure the value of the investment even in turbulent times. What this property has to offer, besides some instant equity, is an updated interior, in both the main home and the guest house, a first floor master suite with radiant heat in the bathroom, jetted tub, natural fireplace and sprawling lakefront porch. The newly installed hardscape off the main house features a lakeside fire pit and inviting pergola for relaxing and winding down at the end of the day. Views off the private dock are serene and welcoming for guests as they tie up for an afternoon of sun and recreational water sports. There is more than ample room for guests in the five-bedroom visitor home that includes its own expansive deck with water views and shaded comfort. The main floor of this guest house is open concept with hardwood floors, a breakfast bar, and first floor bedroom. Kids can let loose in the lower level recreation room that has a walk out to the yard and lakefront and another bedroom to spread out the visitors. Upstairs in the guest house is a full master suite, with gas fireplace, tub and walk in shower. Views of the lake can be found in most rooms and the whole complex flows in a carefree setting. It's a retreat. It's a compound. It's a private sanctuary on Delavan Lake. A unique opportunity for a lucky buyer that can take advantage of the chance to put some instant equity into their real estate portfolio and have an investment that can be enjoyed for years to come. 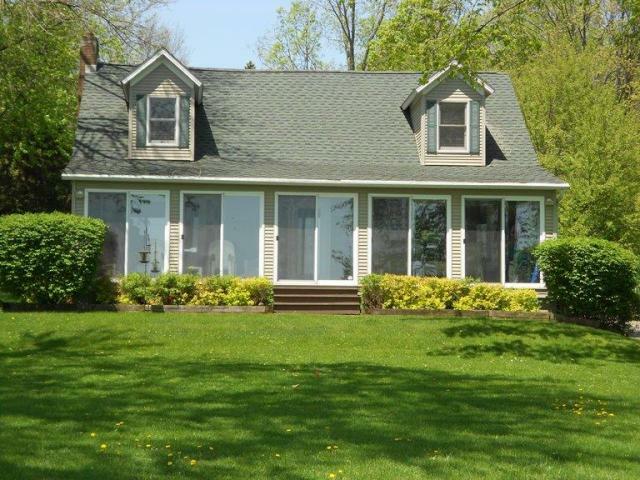 A complete complex with main home and guest home flowing together to enjoy lake living. 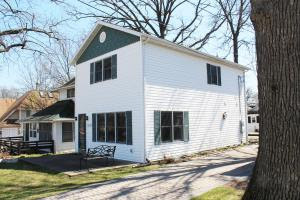 The Delavan Lake real estate market was mixed for the first nine months of the year. 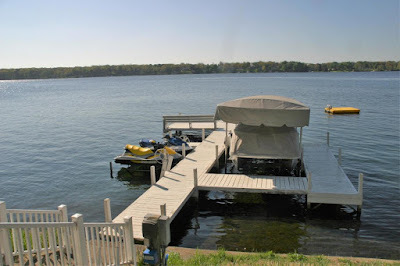 Lake front sales were at decade low levels, while lake access properties were up over 35 percent from the prior year. 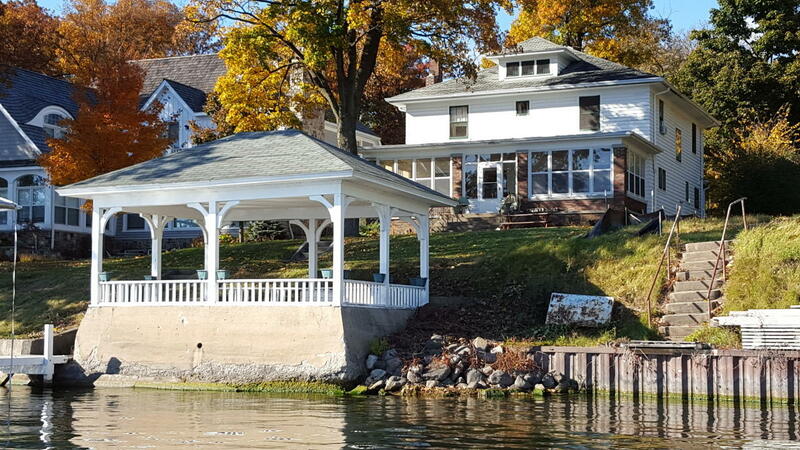 For the first nine months of 2016, sales with water frontage on Delavan Lake fell to only seven sales compared to 12 sales by the same time last year. Lake access properties fared better with 43 sales in 2016 compared to only 31 sales in 2015. 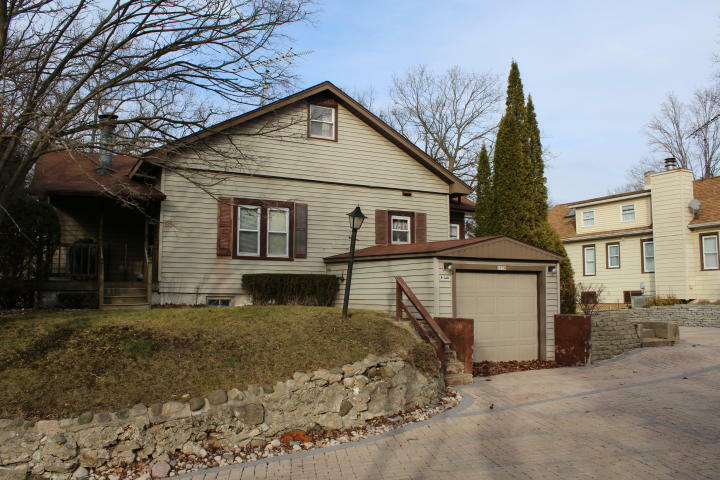 The range of lake access homes started at $49,000 for a run-down two-bedroom cottage off of Fleming Drive on the North Shore to a nine-year-old, six-bedroom, six-bath, two-story with extended views off of Willow Point that sold for $699,000. The lakefront homes started with a walk-out three-bedroom ranch on the Delavan Outlet that sold for $469,000 and went as high as $1,010,000 for a four-bedroom with 100’ of South Shore frontage. The sale at 1615 South Shore Drive was the only sale over $1 million this year. There were 15 Delavan Lake condos sold in the first three quarters which is two more than were sold in 2015 by this time. Sales ranged from a $67,500 two-bedroom, two-bath condo/hotel room in the Delavan Lake Resort to $276,000 for a three-bedroom, remodeled Garden unit in Geneva Landings. The unit at 2160 Landings Lane sold for the highest price for condos with lake access. The inventory for lakefront and lake access homes continues to decrease in 2016, with only 47 homes currently on the market. This compares to 66 in 2015 and 73 in 2014. Prices for lake access homes start at $62,900 for a two bedroom tear-down off of Dutch Mill Road that has views of the water and graduate to a four-bedroom on Glen Eyrie with a shared pier and private boat slip that is listed for $349,900. Lakefront offerings start at $349,000 for a three bedroom located at the mouth of Browns Channel and increase up to $2,950,000 for a 10,000 square foot prairie-style mansion on South Shore Drive that has 3.71 acres and 200 feet of shoreline. 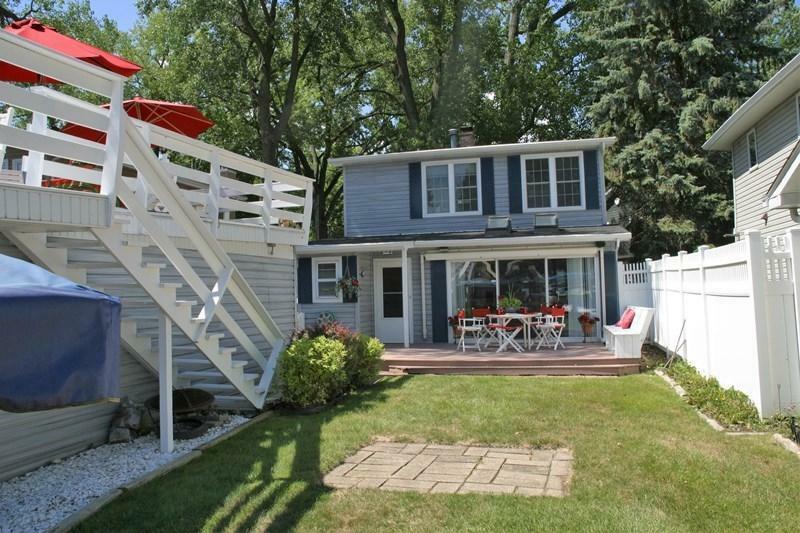 The starting point for homes with access to the main body can be found at 2309 Lakeshore. There are 20 condos for sale with lake access to Delavan. This is the same number that was available this time last year. 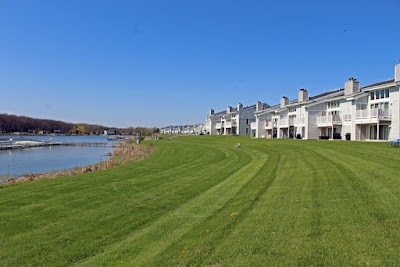 The price range for these units starts at $49,000 for a one-bedroom condo/hotel in the Delavan Lake Resort and increases to $329,900 for a three-bedroom, three-bath unit that includes a boat slip in Delavan Gardens on the North Shore. The best value for a lake access property on Delavan is located at 1635 Assembly Lane. This two-bedroom cottage, at the entrance of Assembly Park, has old world charm with a large front porch and knotty pine interior. Listed for $139,000, the home comes with association privileges that include a boat ramp, beach, playground, shuffle board court and waiting list for a boat slip. 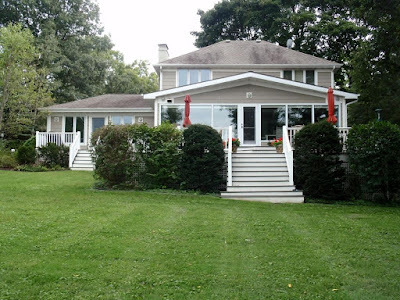 The best value for a Delavan lakefront is located at 4423 Robbins Road on the South Shore of the lake. Listed for $699,000 the three-bedroom, three-bath home has a Florida-style design with open concept living looking out at the water, an expansive deck, walk out lower level and remodeled master suite with private screen porch. 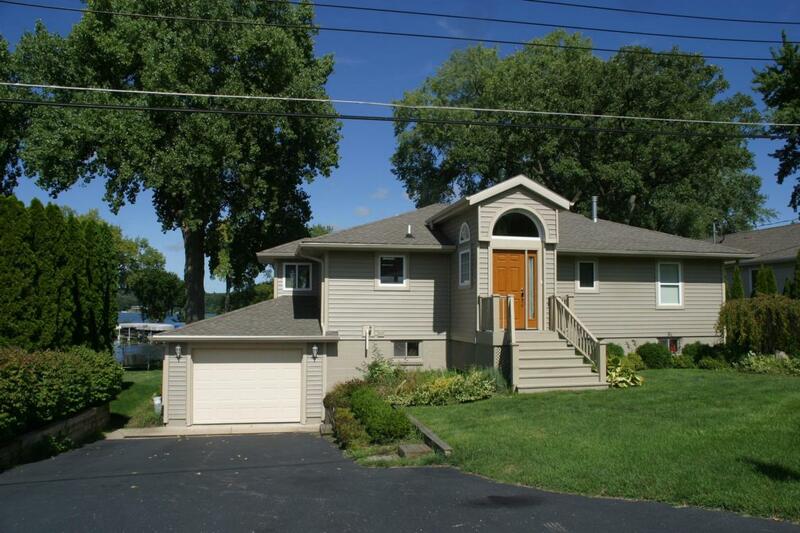 The best value on the lake is this remodeled walk out at 4423 Robbins Road. 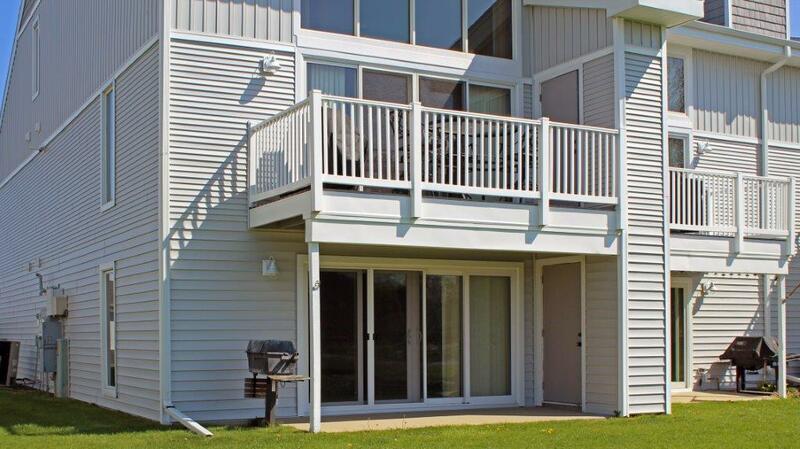 The best value for a Delavan Lake condo is a three-bedroom three-bath unit in Delavan Gardens. Located at 1615 Westbank Circle, the home includes a boat slip, boat launch, attached two-car garage, and sand area by the water. It is listed for $299,900 which is $30,000 less than a similar unit that is for sale in the complex. The Delavan Lake Sailing School is offering a limited number of Adult Sailing Cruises this Saturday, June 18th. An experienced skipper from the Delavan Lake Yacht Club will take you for a 90 minute ride around Delavan Lake and introduce you to the world of sailing. This unique opportunity will take place at 2 pm, Saturday afternoon. The venture will depart from the Delavan Lake Yacht Club which is located at 1501 Cedar Point Drive on the North Shore of Delavan Lake. The trip will include wine for each guest and a relaxing sailboat ride showcasing some of the magnificent homes along the shoreline. The cost is $75 per person or $125 for a couple. Reservations are required because there are a very limited number of spaces. If you would like to take advantage of this cruise opportunity, you can contact Ryan Simons at 608-852-3156 or by email at ryansimons@ryansimons.com. 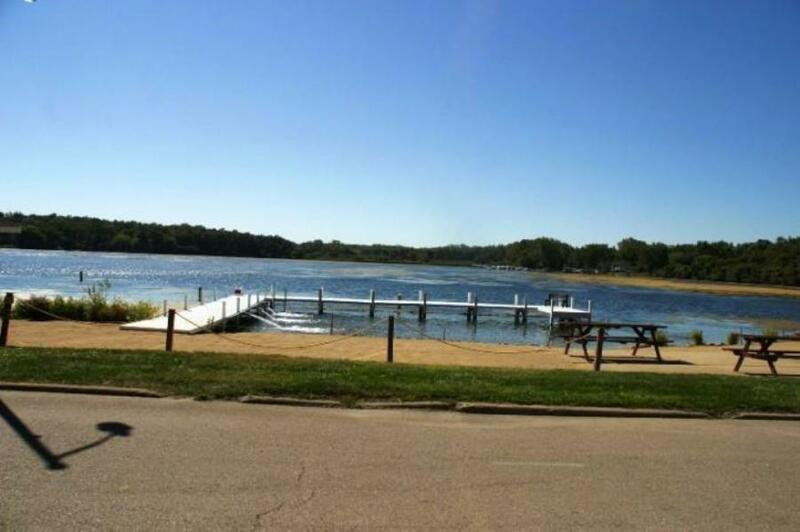 Four Delavan Lake properties will be held open to the public this holiday weekend. Each appeals to a different price point and customer need giving everyone the opportunity to enjoy Delavan Lake. Starting at the entry point is a one-bedroom, one-bathroom condo in the Delavan Club complex. Located at 1407 Delavan Club Drive, this unit will be held open on Sunday, May 29th from 11 am to 1 pm. The complex offers a boat launch, pier system, swimming pool, club house and tennis courts. The condo is priced at $120,000 and has monthly dues of $238. 1407 Delavan Club walks right out to the water. Delavan Club units share a pier system along Delavan's Outlet. Up the street from the Delavan Club is Assembly Park. A very social association the park is comprised of seven separate parks with a main park located off of Delavan's North Shore. The home at 1617 Assembly Lane will be open from 10 am to noon on Saturday, May 28th. 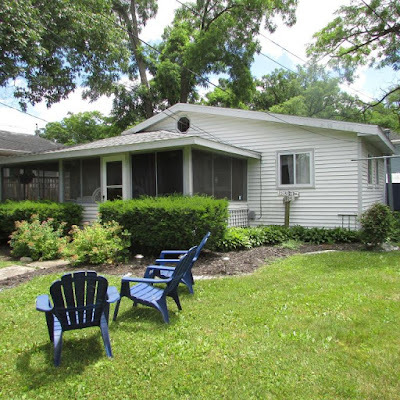 This 3-bedroom, 2-bathroom home is in excellent condition and is listed for $249,000. 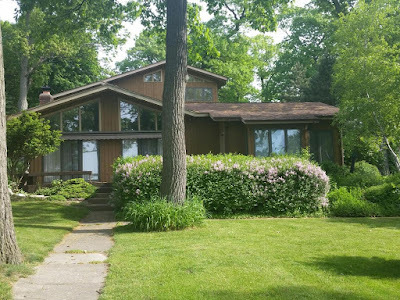 Further down the North Shore of Delavan Lake is 1601 Cedar Point Drive. 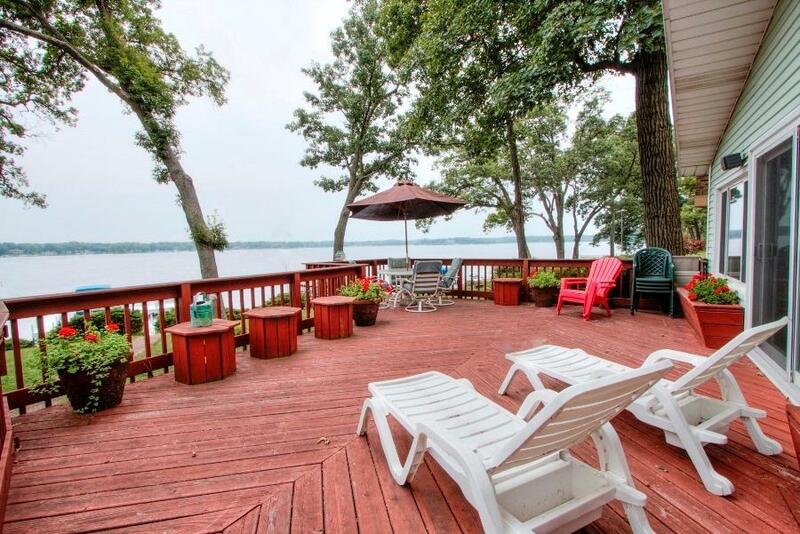 Located close to the Delavan Lake Yacht Club, this private lakefront residence has four bedrooms, four bathrooms and 94 feet of prime lake frontage. Listed for $999,000 the home also includes a small boat house at the water's edge with a waterfront deck for owners to enjoy. 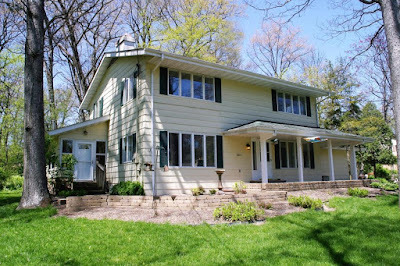 The property will be held open on Sunday, May 29th from 11 am until 1 pm. 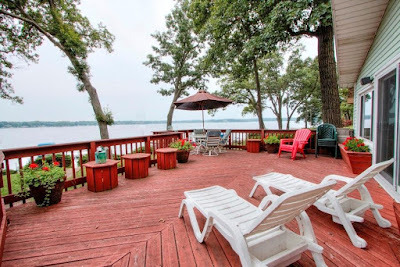 If you are not quite ready for a million dollar lakefront, but want lake views and a boat slip, visit 4403 Highland Drive in the Viewcrest Association on May 28th between 12 and 2 pm. 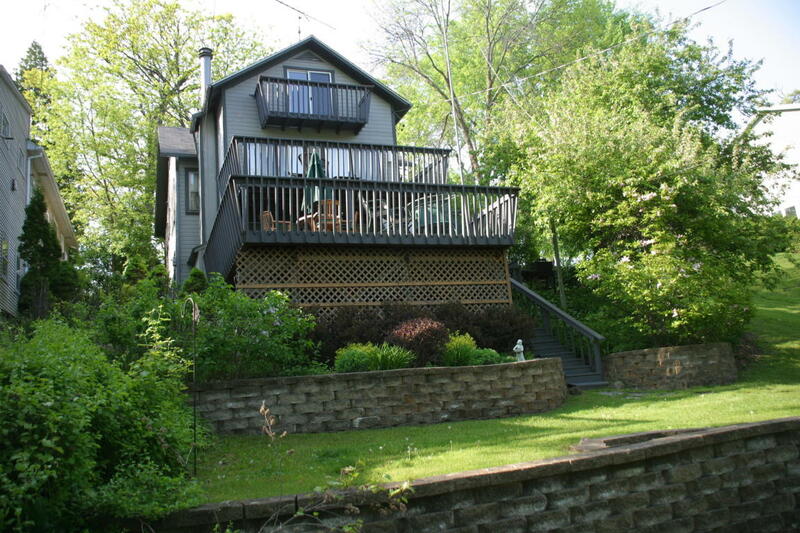 This lake access property includes a boat slip, four spacious bedrooms, three decks, two full bathrooms and views of the west end of Delavan Lake. Listed for $299,000 it is often the starting point for families that want a relaxing lake experience. 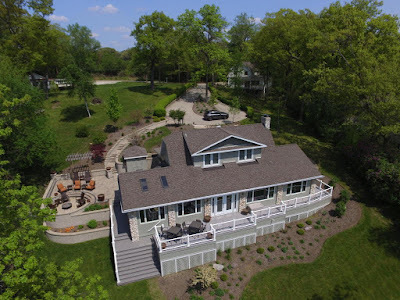 This 360 degree video of 2666 Willow Point Drive allows you to enjoy the panoramic views from Delavan Lake's North Shore. 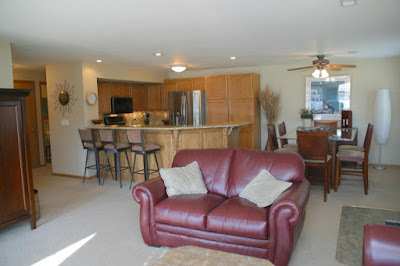 Look at all that space for entertaining and relaxing. Who wants a tour? 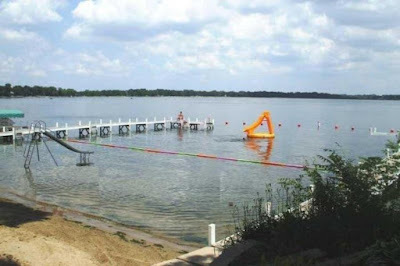 Assembly Park, on Delavan Lake's north shore has always brought a premium to other lake associations in the area. With its social atmosphere and collection of six parks within a park, the area has been a top draw for residents in the northern suburbs looking for a place to escape for the weekend or the entire summer. Cottages and homes have often transferred from one generation to another or with some inside information limiting those that came on the market for the general public. Normally we would see six or seven homes listed with brokers for $300,000 or less at the start of the season. This year, there are only four options available for someone wanting to join the close knit action in the Park. The lake access homes currently available start at $189,000 for a three bedroom on the main entrance to the park. The property at 1636 Assembly Lane is has lake views, a first floor bedroom, natural fireplace and deck that fronts to one of the private parks in the association. 1636 Assembly Lane offers lake views and a one car garage. Further up Assembly Lane, at 1617, is a renovated two story with three bedrooms, two baths and a private patio off the back of the home. Listed for $259,000 it is the most updated of the four offerings but does not offer any parking other than on the street in front of the home. Closer to the lake is 1413 Indian Trail. 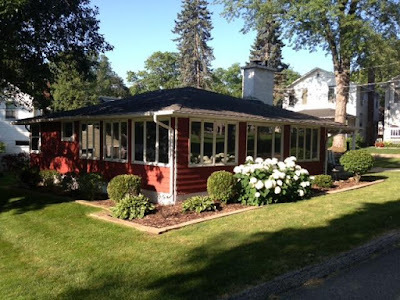 This three bedroom feels like a classic lake cottage with an open concept great room, natural fireplace and updated kitchen and master bedroom. The house is listed for $249,000 and has the luxury of a detached two car garage and plenty of parking for the owner and guests. 1413 Indian Trail has the luxury of a two car garage and plenty of parking. The best views of the homes available is at 1500 South Gazebo Drive. This spacious two bedroom is listed for $299,000 and has sweeping views of the main park and Delavan Lake. Although it is the smallest of the four available, its location is in the middle of the action with shuffleboard and beach access just steps away from the living room. 1500 S. Gazebo gives views of the lake from two sides of the home. Activity this year is sluggish so far for Delavan Lakefronts. There have only been two sales completed by the end of April and three additional homes are under contract. Both of the sales were on the North Shore of the lake. 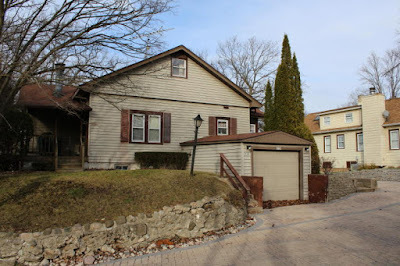 The first was a family home on 50 feet of frontage located at 2336 North Shore Drive. The home was in disrepair and in need of attention. Despite the poor condition, it received two offers for its purchase with one of the buyers hoping to endeavor on a major renovation project. The home ended up selling to one of four siblings for $537,000 and sits in more of a deteriorating state than one of renewal. The second sale was also on 50 feet of frontage, just around the corner from the first sale. An absolute contrast to the first sale, this home, at 2366 North Shore Drive was in fine condition with many updates and modern amenities. 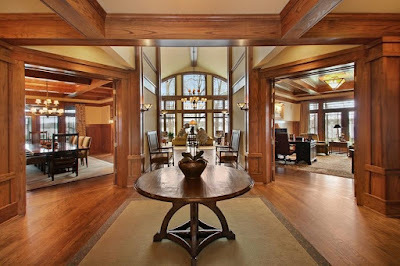 The home featured a first floor master suite with separate office, walk-in closet and bedroom fireplace. 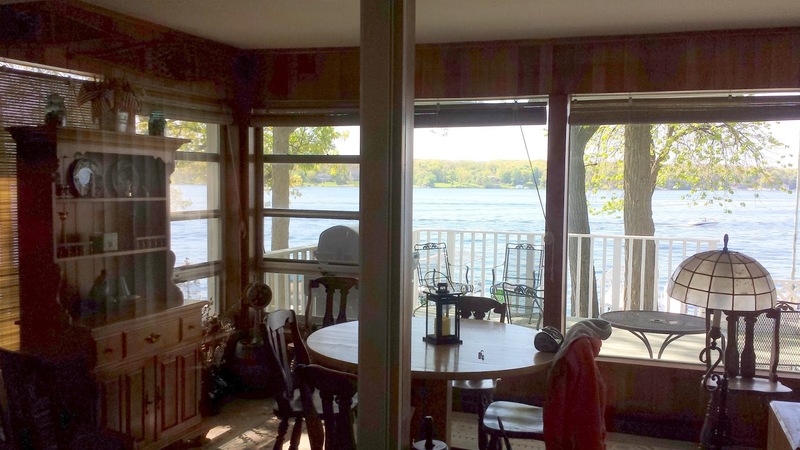 In the main house was a remodeled kitchen with granite counters, new flooring and lake views. 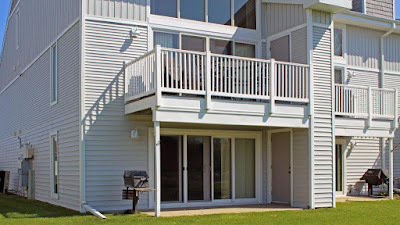 The enclosed front porch area was the main feature of the home along with level frontage and a lakefront deck that can be used for entertaining and relaxing throughout the summer months. 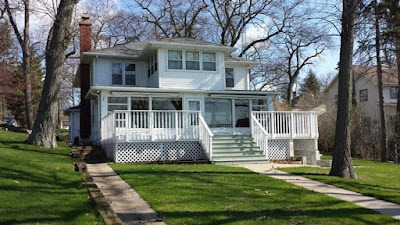 2366 North Shore Drive features a enclosed front porch with sweeping lake views. The four bedroom, three bathroom home sold for $740,000 and was a solid value for the new owner. 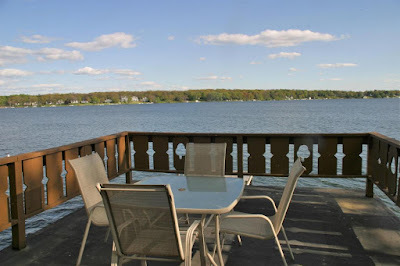 What are the Best Values on Delavan Lake? Spring is here, and although we just experienced a late snow fall, the market is starting to bloom on Delavan Lake. There has been one sale on the main body and three additional homes are under contract. Inventory levels are low for Delavan Lakefront Properties with only 16 currently available. So what are the best values for those that want to have a sensational summer spot for the 2016 season? They both rest on the North Shore of Delavan Lake. The first is found at 2524 North Shore Drive. Listed for only $750,000, $50,000 less than the assessed value, this four bedroom offers 80 feet of private lake frontage and four deck spaces to enjoy the summer sun. 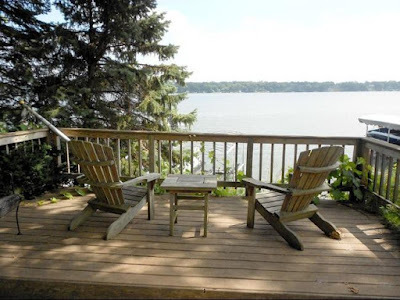 The prime deck space is just steps from the water and takes in views all the way down to the Island of Delavan Lake. Inside is a combination of classic and modern. The front great room has retained the leaded glass windows, pine ceiling and airy porch feel while the back family room incorporates a wood burning stove, hardwood floors and cozy office nook. There are four spacious bedrooms on the upper level including a master suite with walk in closet and views of the water. Two front bedrooms also have expansive lake views and charming beadboard finishing. The second value of the season is located at 1531 Cedar Point Drive. 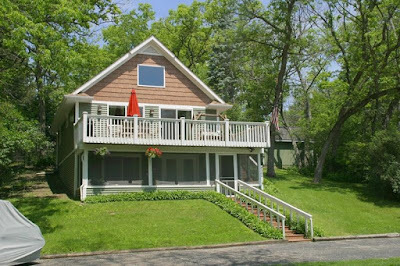 Just up from the Delavan Lake Yacht Club, this classic summer home has an open concept great room, sprawling front porch and expansive front deck to take in all of the lakeside activities. Views from the enclosed porch at 1531 Cedar Point Drive take in a vast swath of the South Shore. 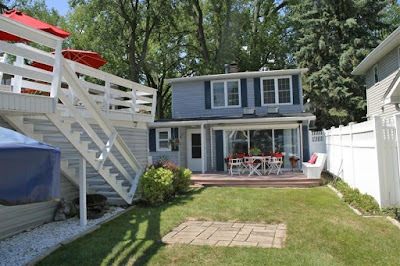 The six bedroom, five bathroom home is priced at $749,000 and includes a waterfront boat house, 60 feet of frontage and a detached two car garage. One of the unique features of this waterfront value is the second master suite that juts out over the front of the house. From these private quarters, three sides of windows give generous views of the south shore across the water. Growing up on Delavan Lake, if you wanted to go to the beach for the day you would usually try and visit a friend that lived in the Delavan Highlands. Located at the west end of the lake, the subdivision boasts the best beach on Delavan Lake. The beach at the Delavan Highlands looks down the entire lake. As part of a private subdivision, the beach is rarely crowded and has a 150 foot span of sand that looks down the entire length of the lake. 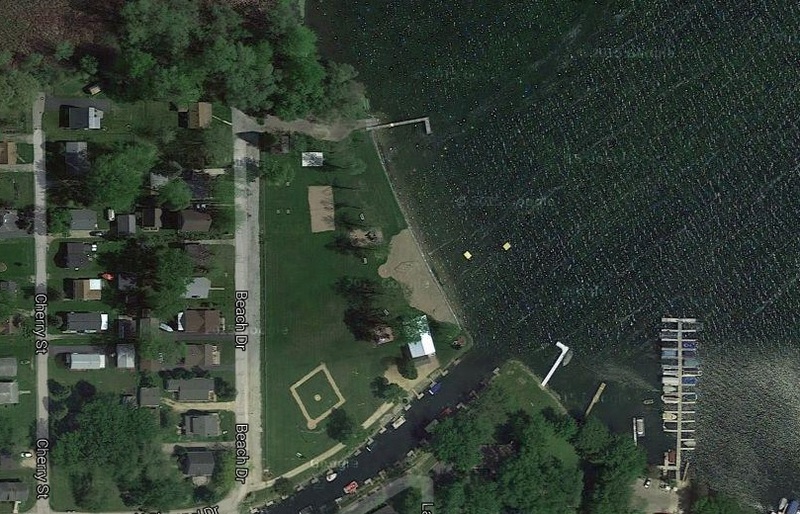 The association has a swim raft that is also available to members as well as a baseball diamond, volleyball court and playground equipment. 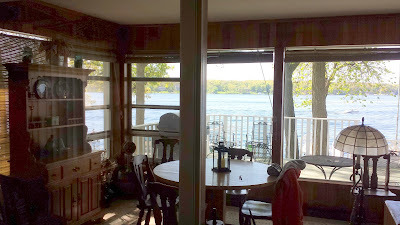 The location on the lake, in a cove bordered by the Island and South Shore, block wind and boat traffic to create a calm and relaxing environment. Included in the park is a sand volleyball court and baseball diamond. 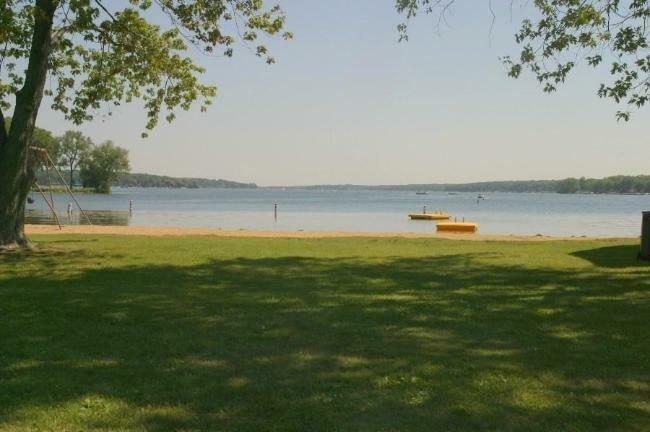 In case you don't have any friends that live in the Delavan Highlands, there are six homes available for sale in the subdivision so you can purchase one and stake out your spot on the sand. 4100 Central Blvd. in the Delavan Highlands boasts "best beach" access. The most recent listing is located at 4100 Central Blvd. This two-bedroom, two-bath ranch is a carefree get-a-way with cathedral ceiling, gas fireplace, large deck and patio space and a master suite. Listed for only $129,900, it is the least expensive offering in the association, but well maintained and a cost effective summer solution.